Having arrived at the ripe old age of 40 :), I’m taking a serious look at my life and how I might make the best of my earthly life in my remaining years. God has led me to several interesting books, all of which encourage you to focus your time on what is most effective and eliminate all the rest. This is the 80/20 rule, which says that 20% of causes result in 80% of your results. It has been proven time and again and was originally proposed by the economist Vilfredo Pareto. It applies in all areas of your life and effectively says 20% of the things you are doing are causing 80% of your results, so eliminate the other 80% of causes/tasks/customers, etc. This results is huge time savings that you can then put toward accomplishing other goals be it: traveling the world, volunteering, homeschooling your kids, reading more books, praying, spending time in adoration, starting a nonprofit, write on your blog more (me! )…you get the idea. I found that to be a fascinating paragraph, because doesn’t that just sum up God, the Almighty Father, perfectly? Of course, he can at once be singularly chaotic but utterly perfect. 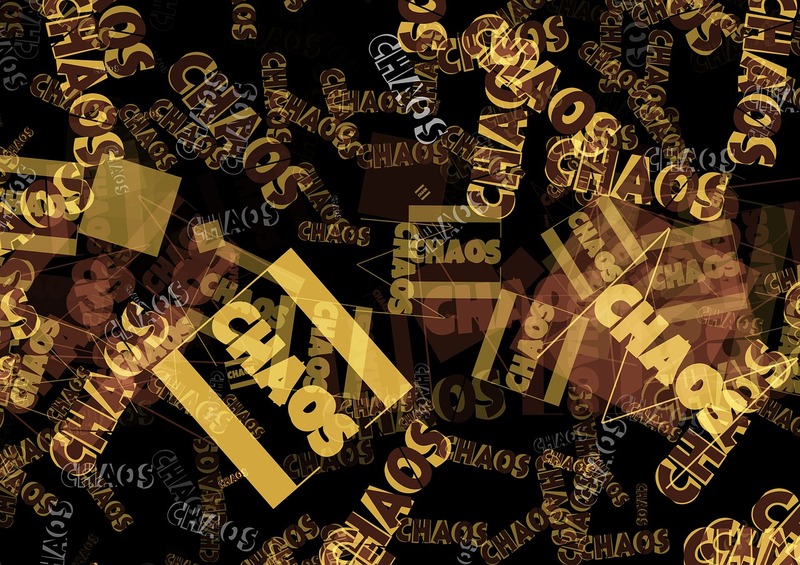 Everything may seem chaotic in the universe, yet it all works together perfectly just the way it should. The “force” behind it all? Sounds like God to me :). I am already incorporating these principles into my life and in just one week, the results were amazing. This is life-changing stuff! As Catholics, we tend to dismiss our abilities to evangelize and to “witness” our Christian faith to others. We say we’re not good at it, at least not as good as Protestants, and we certainly don’t want to bash people over the head with our faith. No, we don’t! But, as Catholics, I’ve discovered several ways to easily inspire a conversation about faith without being so obvious and without bringing out the “brick.” It’s also a way to follow Pope Francis’ theme of leading lives of joyful Catholicism, focusing on the positives of knowing Jesus and not starting the conversation with a bunch of “don’t”s. 1) Wear some outward sign – I wear a Miraculous Medal and a cross. Lots of people wear crosses, so that doesn’t generally open the door to conversation. But my medal — time and time again — has led people to ask me what it is and led to a great conversation about faith. 2) Read the Bible – Catholic evangelist Hector Molina spoke at my parish’s mission retreat this year, and he inspired this post with a story he shared. When he’s flying to give talks around the country, he explained that he has a captive audience of his fellow air travelers. He always carries his Bible and reads it, which often gives rise to conversation about favorite verses and ultimately religion, and even prays his rosary. 3) Pray the Rosary in public – This one will really get a conversation going and you’ve got to be brave about it! Can you be as bold as Hector and pray the rosary on the plane? If not, try a walking rosary at your local park or public path. Pray the rosary in rhythm to your steps as you carry it. You might not have a conversation by praying but you never know who is watching and what effect it may have on them. 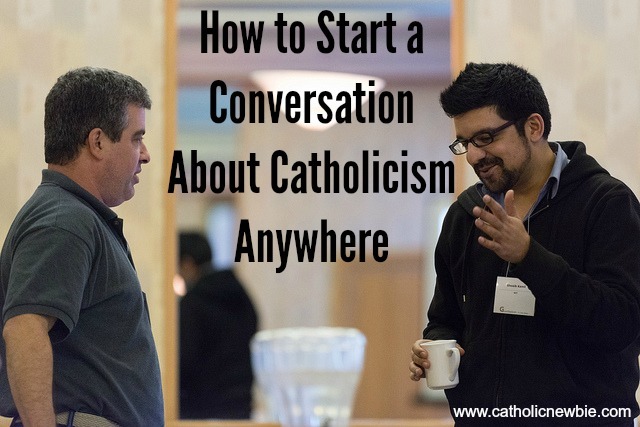 4) Talk about going to mass, reconciliation, Holy Days and more – Casually mention to your neighbor, or your child’s friends’ parents or the fast food worker, what you’re doing or just did as it relates to church. They just might ask you for more information and give you the opportunity to explain. 5) Pray before meals – Of course, you should pray before meals anyway to thank God for our many blessings, but there’s an added bonus. People will notice. I’ve heard so many stories of people commenting to others about how great it was to see someone praying in public. Again, even if it doesn’t inspire a conversation, you never know what impact it might have on someone watching nearby. 6) Read a Catholic book – You should also be doing this anyway to grow in your faith! But carry one with you always, so if you have down time, you can pull out the book and read a few pages (side note: great program on How to Read More Books from Brandon Vogt here). Books are always a good conversation starter. I was at the park one day with my kids and reading St. Therese’s “Story of a Soul“. Boy did that start a conversation with the Protestant man sitting next to me. He did not have a good view of the Catholic church and we discussed the whole idea of “saints.” This was early in my Catholic days, so I’m not sure I had the best answers to persuade him, but I sure tried. You can prepare yourself by reading great Catholic books, listening to shows on EWTN radio like Catholic Answers, Open Line and Catholic Connection with Teresa Tomeo, which give great explanations for common questions and misperceptions about Catholicism. Also, consider blogging or journaling so you have fresh in your head stories from your own life about the power of God and God’s graces that have benefited you. No one can argue with your authentic experience. It also helps to know key Bible verses, especially when chatting with Protestants who have a largely Bible-only view of Christianity. 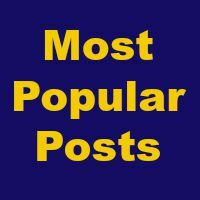 What things have you experienced that unexpectedly started a conversation about faith and Catholicism? As we buy our Father’s Day cards and gifts this June, many of us may be thinking about what makes our dad a “good” dad so we can find just the right card. No doubt, our dads have their share of failures, like all sinners, but I bet there’s at least one, if not countless, qualities about your father that make you smile. 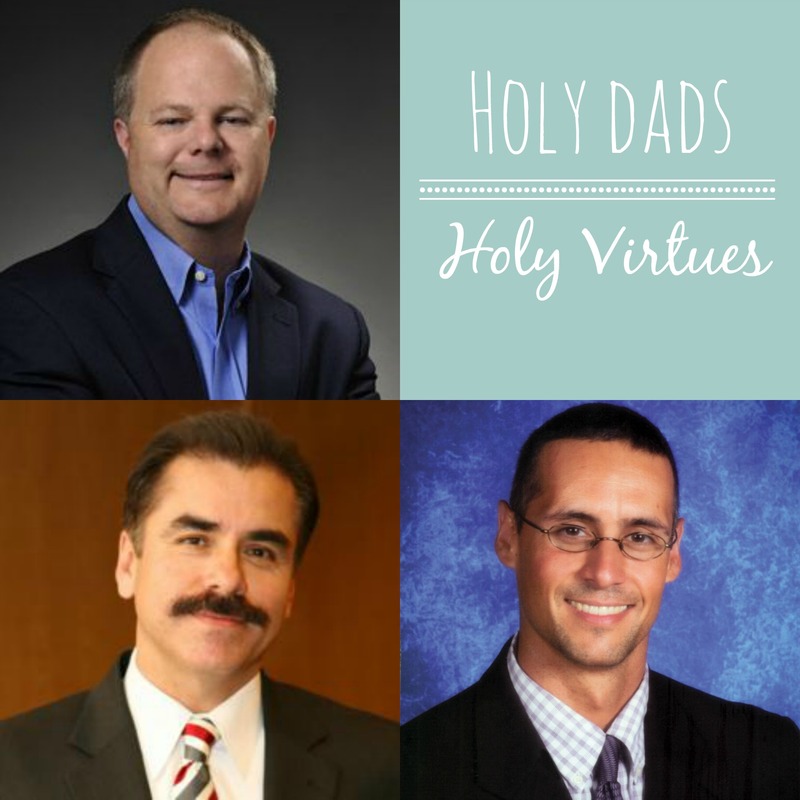 I’ve selected three inspirational Catholic dads who are living out their vocation and who, as a Catholic “newbie,” have helped me on my conversion and continuing journey of faith. 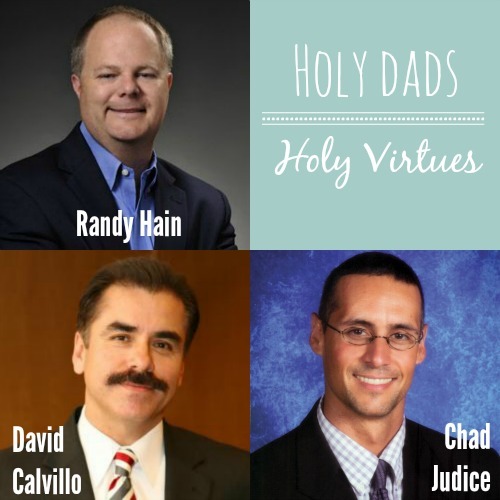 These dads have shown perseverance in a particular value that relates to my life, and which I think many of us — dads or moms or kids or siblings — can model in our own spiritual growth. While a key lesson from Chad is learning to surrender to God’s will, what struck me the most was his powerful reliance on prayer throughout the process. I immediately thought, “Wow, I don’t pray for my own children enough!” I now make sure to include them at a minimum on my rosary intentions daily with special requests for graces they need at that point in their life to strengthen their faith. Fasting in times of dire need for my kids and special requests for Mary to take to Jesus have also been answered in abundance for me. Prayer works! Throughout Chad’s ordeal and painful wait to learn Eli’s state of health, he turned to prayer. A teacher and coach, he committed himself to spend an hour in the school chapel daily and often asked others to pray with him (quite a foreign concept to this quieter Catholic newbie, but where two or more are gathered in Jesus’ name, there He is!). While waiting for Eli’s birth, he and his family visited shrines and graves of saints, turned to priests with healing powers and were blessed by the unceasing prayer of the school’s students and faculty. As a business owner for the last 15 years whose day never looks like a typical 9-5 clock-in, clock-out shift, balancing my work life with my faith is an area where I struggle, as I know many of us do. How do I make room for God, my children, my husband and still get enough work done to do a good job for my clients and make ends meet for my family? Randy Hain, a business consultant and Catholic convert, has written numerous books about successfully combining work life and spiritual life, including the best-selling “A Catholic Briefcase.” Randy is not only a business consultant, but author, founder of Catholic eMagazine Integrated Catholic Life and parish leader. 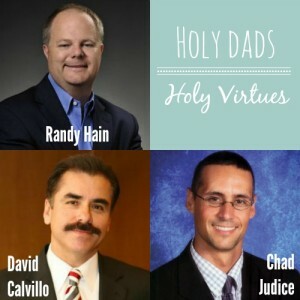 In his latest book, “Journey to Heaven: A Road Map for Catholic Men,” Randy focuses specifically on men and dads, and he addresses the work/faith balance in the chapter “Are We Working for God’s Glory or Our Glory?” He asks us to consider if work that cuts into family and prayer time is truly for God’s glory or if it’s actually for personal satisfaction. He dares us to take a deep look inside where we are likely to discover that an overload of work is indeed likely to fulfill our own desires. It’s true, isn’t it? If you’re doing more than your 40-hour or 30-hour allotted work week, it’s because you WANT to, isn’t it? You want the money, you want the recognition, you don’t want to let anybody down, you want to make your client happy… But that what’s best to get you to heaven? Good food for thought! In the book, Randy also provides tips on how to offer the day’s work to God and reclaim wasted time by transforming it into productive prayer. Great information for today’s time-strapped families! For many men, the rosary has been relegated to the realm of, as David Calvillo says, “old ladies and funerals.” He, too, was one of those men until he had a transformative experience with the rosary as an adult. Now, he’s built an entire organization and written a book, both titled Real Men Pray the Rosary, encouraging men to pick up this grace-filled prayer and make it a habit. After converting, I found myself drawn to the rosary and subsequently True Consecration to Jesus through Mary. I now make this prayer a part of my daily life, and I feel it’s helped provide a sense of peace and blessings beyond belief. I admire David’s shouting from the rooftops about the blessings of the rosary, daring men to fully embrace their Heavenly Mother. And his book, “Real Men Pray the Rosary,” so simply explains what the rosary is, why you should pray it and how exactly to go about it. How to pray the rosary certainly confused me early on, and it took a pamphlet from my parish (no amount of web searching helped!) for it to finally make sense. You can download a similar pamphlet from Real Men Pray the Rosary here. Dads or sons, brothers or uncles, grandpas and husbands, these are three wonderful men to follow if you struggle with prayer, work or integrating Mary into your daily life. Moms and daughters, sisters and aunts, grandmas and wives, consider these gifting the dads in your life with books for by these holy men this Father’s Day. Better yet, why not give them the gift of a quiet hour to spend reading them, too! I wanted to share with all my readers one amazing example of God’s blessings that have poured down on me since beginning the process of Total Consecration to Mary. Although it’s been only a few months, I still am flabbergasted by this one event. I am a writer and public relations professional by trade and run my own business. I’ve been through many ups and downs with my business, and I am now seeing it wasn’t until I let go of MY plans for my life and career that God began his work in me. I once had aspirations of growing and running a large company with many employees, but situation after situation has revealed to me that’s not what would bring me happiness or fulfillment. Around this time last year, I came to grips with what God was trying to show me. I took a big step and handed over some current work that was not fulfilling or bringing me joy to a fellow co-worker to instead focus on the things that were fulfilling and bringing me happiness. It’s not easy to GIVE UP work, let me tell you. But I felt very called to do so, and as soon as I did it, I knew it was the right thing. Slowly, I’ve delved more into work that aligns with my Catholic values and that I feel called to do. Earlier this summer, I began in earnest to get to know Our Lady better and I came across a pamphlet for Total Consecration in our Blessed Sacrament chapel. I was curious, so I looked up St. Louis de Monfort and read a couple of his books. After much study and hearing Gary Zimak on Catholic Connection with Teresa Tomeo mention he was going to lead a group through Consecration via his podcast, I was sold. Even before we started the preparation, I began daily, as a trial, offering up the merits of all my actions, goods and works to Mary for her safekeeping and distribution. Since the beginning of the year, I’ve been listening to Catholic Radio Indy and came to really enjoy Teresa Tomeo’s drive time (9-10 a.m.) show every morning. As soon as I dropped my kids off at school, I’d tune in and listen to a Catholic perspective on the news of the day and learn about new books and Catholic teachings from all the great people she interviewed. One day, I went to her website and saw she had her own PR/communications firm… Hmmm… So all summer long, I toyed with the idea that maybe I should try to email her just to see if she might need any freelance help. But I thought that was a total long shot. Well, finally in August, the calling was so strong, I just up and did it. Lo and behold, she emailed me back within the hour, saying yes indeed they needed some help and they were especially interested in my experience working with non-Catholic media and particularly with travel journalists. That was a hole her team was just saying they needed to fill! I about fell off my chair. (Side note: I prayed to Mary before sending the email and praised God when I got this response back. Never hurts to send an important email off with a prayer attached!) After talking with the head of her team of communications professionals, they added me to their team and I am now working on projects that match my values and further the spread of the Catholic faith. What a blessing!! Every project is bathed in prayer for whomever we are working with and we get to share and talk about topics that we’d be discussing anyway. I can’t think of any other work I’d rather be doing. Just last weekend, Teresa spoke at a parish in Lafayette, Ind., near mine and so I had the opportunity to meet her in person, hear her entire story live and assist her with selling, signing books and more throughout the day. 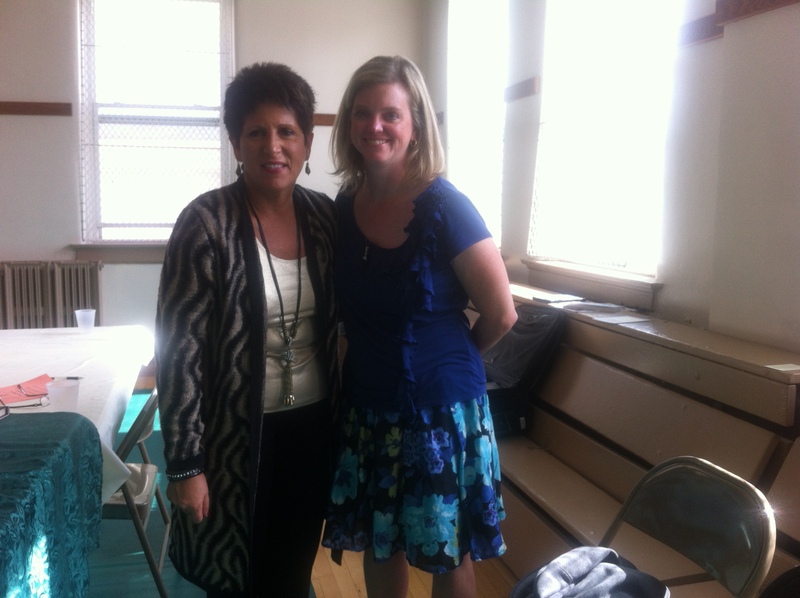 I still cannot believe I was helping Teresa Tomeo, whom I listen to on the radio every day! I’ll share more about her talk in a future blog, as it was incredibly inspiring. So my point here is this. Give your life up to God and amazing things will happen. It’s not all going to be pleasant, because we all know that God calls us to suffering, as well, but it will all be satisfying and fulfilling and likely bring you things beyond your imagining. As Pope Francis recently said: “God always surprises us, he overturns our categories, he wreaks havoc with our plans. And he tells us: Trust me, do not be afraid, let yourself be surprised, leave yourself behind and follow me!” This was certainly one of God’s joyful surprises for me. Thanks for messing up my plans, God :). Did you enjoy my blog post? Please sign up to get my blogs by email below. Thanks for reading!